Rami Boukai is no stranger to grueling competition. For years Boukai competed in mixed martial arts and at one point in his career, was just a few seconds shy of choking out famed WEC fighter Urijah Faber. But Boukai decided to trade the octagon for the felt and playing as “arbianight” online, he has quickly proven to be one of the better up-and-coming players in the game. In the early hours of Saturday morning, Boukai took his poker career one step further by taking down his first World Series of Poker bracelet, winning event no. 10 (Pot-Limit Hold’em/ Omaha). Boukai was a major part of a 13-hour final day and came out on top to bank $244,862, the biggest score of his career. The tournament attracted 453 players and paid out the final 45. 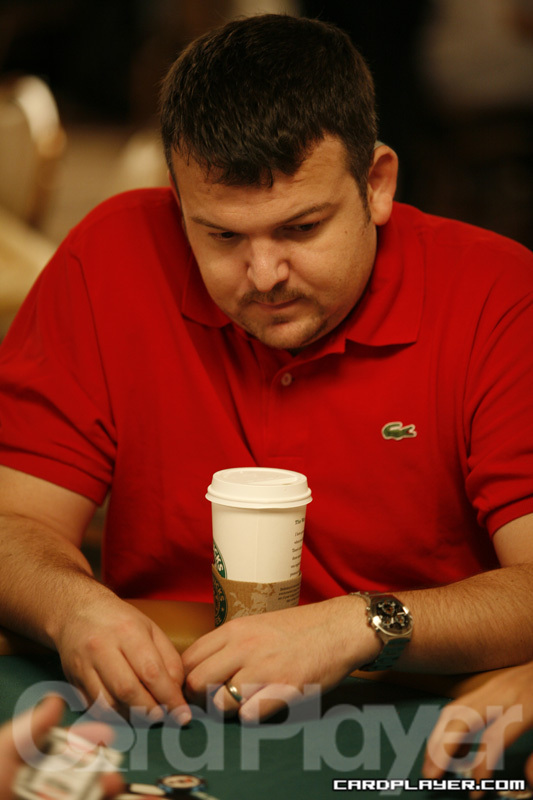 Notables that made the money included Markus Lehmann, Daniel Negreanu, Jeff Williams, Fabrice Soulier, Bertrand Grospellier, Amnon Fillipi, Hoyt Corkins, David Sklansky, Tony Cousineau, Jamie Rosen, Surinder Sunar, Amit Makhija and Hevad Khan. Joining Boukai at the final table was runner-up Najib Bennani, pot-limit Omaha genius Ben “MilkyBarKid” Grundy, L.A. Poker Classic Main Event winner Cornel Cimpan and Daniel “amichaikk” Makowsky. Stockinger was eliminated in ninth place and Makowsky grew his stack to 602,000. Cimpan won the hand to take the chip lead and Kabbaj was eliminated in eighth place. Rami Boukai limped in from under the gun, Pawel Andrzejewski raised to 70,000 from late position and Boukai called. The flop came 10 4 3 , and Andrzejewski moved all in. Boukai called and both players turned over their cards. Paul Parker raised to 84,000 from under the gun and Rami Boukai min-raised. Parker then called all in and showed A 6 but was dominated by Boukai’s A K .
The board ran out 10 8 7 4 7 and Parker was eliminated in sixth place. Daniel Makowsky raised to 140,000 and Najib Bennani reraised the pot, putting Makowsky all in. Makowsky obliged with a call and showed A J which was racing against Bennani’s pocket eights. The board ran out K 3 2 7 K and Makowsky was eliminated. Najib Bennani completed from the small blind and Cornel Cimpan raised to 150,000. Bennani then called and both players saw a flop of J 7 5 . Bennani put Cimpan all in and he made the call. Cimpan showed A A 7 3 for an over pair with a back door flush draw and Bennani showed 8 6 5 5 for bottom set and an open-ended straight draw. The turn and river came 2 4 and Bennani’s straight sent Cimpan to the rail in fourth place. Najib Bennani raised to 125,000 and Ben Grundy reraised the pot from the small blind, making it 425,000. Bennani put Grundy’s last 40,000 all in and Grundy called with A A A 7 . Bennani showed K Q J 4 and the board ran out 10 7 5 J K , giving him two pair and busting Grundy in third place. It didn’t take long after Ben Grundy’s elimination for the two remaining players to mix it up. Najib Bennani raised on the button and Rami Boukai reraised the size of the pot, putting Bennani all in. Bennani called and showed Q J and was relieved to be racing against Boukai’s 9 9 . The flop came out A K Q and Bennani took the lead, but the turn was the 9 and Boukai was right back on top. The river was the A and Bennani was eliminated, earning $151,335. Boukai earned the biggest cash of his career with $244,862 and picked up his first career bracelet.